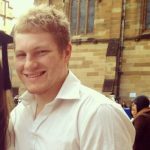 When Can a Defendant be Granted a Judge-Alone Trial in NSW? The high profile criminal prosecution of Cardinal George Pell has raised concerns about whether Australia’s most senior Catholic will have the benefit of an impartial jury during his pending trial in Melbourne. This, in turn, has triggered debate about whether Victoria should follow the lead of NSW, Queensland and Western Australia by introducing the option of judge-only trials. 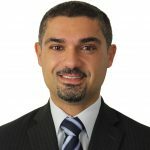 Amendments in 1990 to the Criminal Procedure Act 1986 (NSW)(the Act) allowed for trials by judge alone in respect of state offences where the prosecution consented. The Act was amended in 2011 to enable the defendant to apply for such trial in the absence of consent. The relevant substantive rules are now embodied in sections 132, 132A and 133 of the Act. Section 132 provides that a defendant or prosecutor may apply for a District or Supreme Court trial to be tried by a judge alone – which is referred to as a ‘trial by judge order’. May make the order despite any of the above if there is a substantial risk a jury trial may lead to an offence of interfering with jurors, witnesses or judges under sections 320 to 326 of the Crimes Act 1900 (NSW), and that risk cannot be mitigated. Section 132A requires that an application under section 132 for criminal proceedings must be made at least 28 days before the trial date, except with the leave (permission) of the court. It further provides that an application must not be made in a joint trial – meaning a trial with more than one defendant – unless all defendants apply and each application is made in respect of all offences being tried. 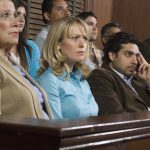 Section 133 empowers a judge sitting alone in criminal proceedings to make findings of fact, which is normally the responsibility of the jury. It requires the judge to include the applied principles of law and findings of fact in any judgement, and to take into account any warnings that would normally be given to the jury. The provision in section 132 that the court may refuse a judge alone application by a defendant if the case involves the application of ‘objective community standards’ has been the subject of judicial interpretation. Some situations are relatively straightforward, such as offences which contain essential elements embodying reasonableness, indecency or offensiveness. Others are less clear-cut, such as those involving questions of credibility and intent. The 2008 NSWCC case of R v Belghar involved a family altercation at a shopping centre whereby one family member was charged with attempted murder and attempting to inflict grievous bodily harm with intent. Chief Justice Mclelland found in that case that the facts did not require the application of community standards. The application is an interlocutory decision, the refusal of which may be appealed under section 5F of the Criminal Appeal Act 1912. According to the NSW Bureau of Crime Statistics and Research, the table below reflects the acquittal rates in judge-alone versus jury trials. 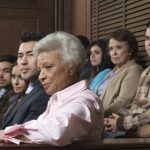 What are the Advantages and Disadvantages of a Jury Trial?